Get into the festive mood with Krispy Kreme's Early Christmas Promo! 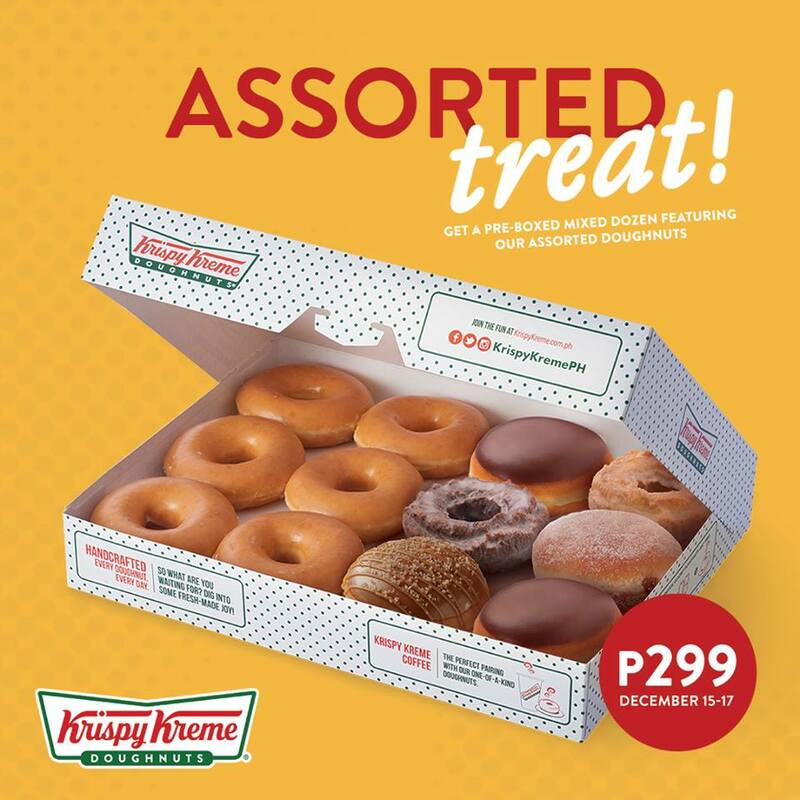 Take home 6 Original Glazed doughnuts and 6 pre-assorted doughnuts for only P299! Promo runs from December 15-17, 2017 in almost all Krispy stores nationwide! *The 6 pre-assorted doughnuts include: Salted Caramel, Dulce de Leche, Chocolate Iced Custard-filled, Glazed Vanilla Cake, and Glazed Chocolate Cake. *Not valid in conjuction with other existing promos.